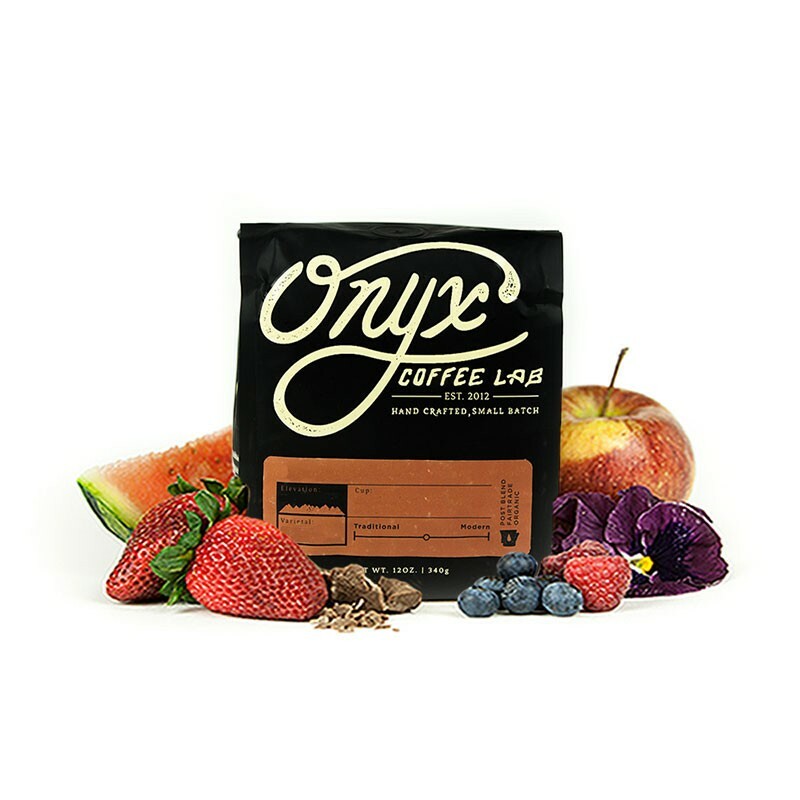 The Ethiopia Hambela Buku Natural was carefully roasted for you by Onyx Coffee Lab. This full natural coffee was sourced from the growing region of Guji in Ethiopia and was produced by the Michael Adinew at 1,800 - 1,950 meters. We love this coffee for its nuanced notes of berries and citrus fruit forward flavors, with jasmine and bergamot floral aroma and a juicy mouthfeel. Delicious coffee. Just like the description says, I got fruit forward flavors and a very balanced smooth finish. I got the best results in the v60, using a 1 to 15 ratio on this. Keep these delicious coffees coming! This is a great coffee. It doesn't have a lot in the aroma department, but once in your mouth it explodes with sweet citrus flavors, reminiscent of key lime pie, and floral flavors. It makes a nice clean cup, both in the French press and the aeropress. Delicious fruit bomb upfront that reveals nuances as it cools. Very nice Ethiopian. Overwhelmingly strawberry and floral, but with tame acidity. One of the best single origin espressos I've had. This coffee was pretty good. Clean and smooth taste with rich flavor. I typically have enjoyed floral coffees with fruity notes, and this was fantastic in that regard. Amazing; best coffee I had in months. Very nice berry flavor. However, that seemed to have disappeared a bit after 3/4 days. I'm I doing something wrong with storage? As a whole this was a coffee worth the try. However, I did find that the flavor profile was a little more subtle than anticipated. I dialed in the grind setting and brewed using a Kalita Wave and Hario V60 to compare but still found the berry notes and acidity to be a little soft. I find the acidity of most Kenyan coffees to be more pronounced and suitable for my liking. Looking forward to the next pick and comparing. This was one of the best coffee's i have had through misto box...would love to get more coffees that fit this profile. Very good coffee with a very fruity and light flavor. This was my first time having a coffee of this style and it really took me by surprise at first. I enjoyed this coffee a ton. Loads of berries and citrus. I do have some difficulty getting the berry notes to come out. I've begun to agitate the grounds pretty agressively during my pour over. I'm still trying to dial in the correct grind. Tough to put my finger on what I think on this coffee. It was decent, but not great. Some of the cups have been a bit bitter towards the 2nd half of the cup. There were some flavors coming through that I couldn't put my finger on that just weren't super clear. I got some of the fruitiness, but it almost tasted a bit dirty as well. This was a great coffee. I love natural processed coffee. The berry flavors really come out. I found this delicious once I was able to dial in the correct ratios for these beans. I ended up using a 16-to-1 water to coffee ratio that seemed to work best. This coffee also starts to really shine once it cools off a bit. This was awesome. Great fruit flavors and awesome lime taste. It was a fun coffee and taste good in each cup. I brewed using a hair v60. Onyx does a great job with this coffee. I would recommend to anyone who likes more fruit flavored coffees. Loved the brightness and berry notes. This was what I was looking for in a coffee. Light and fruity. Taste smooth all the way through. The first time we made this coffee, we used water that was a touch too warm, and the result was a very earth-forward brew that didn't exhibit any of the fruity, juicy notes we were looking forward to. When we brewed a second batch with water much, much cooler than boiling, those pleasant notes came through well. The test of the too-hot - or cooled-off - coffee is not unlike that of hojicha green tea: earthy or nearly dirty. You'll need to be careful to get the character you want out of it. As advertised. Floral aromas. Very fruit forward with bright citrus acidity. Light body with not to much sweetness. Best brewed as pour over and probably good as a iced brew. Too floral for our liking, and the overall flavor was too mild. One of the best coffees I've ever had! So sweet and floral. Loved the citrus and tea flavors. Initial taste was okay but the after notes are really what shined. Would love more deeper flavors such as pomegranate and raspberry. Tasted best in my chemex, dense filter really helped round out the flavors. Would like something a bit better suited for a V60 also. Would absolutely drink again! SUUUUUUPER tasty. I don't have a Chemex, unfortunately, but I did a pourover through the Kalita Wave. I aim for an extraction time of 3 minutes using 20 grams for 300 grams water. I get TONS of lime through the whole cup that gets stronger as the cup cools. When the coffee is on the warmer side, it tastes like a fruit cereal with all the strawberries and kiwi. I love me some tropical cereal. Easily on of the best CLEAN natural ethiopian coffees I have ever had. Amazing complex cup. Amazing lime acidity that gets stronger as the cup cools. As it cools, the lime intensifies as does the chocolate. I have never had a natural ethiopia with this intense citrus. I did this in a v60 and I didn't get as much strawberries as I would have liked but it makes sense with this pourover method. I will try on a Chemex while should definitely provide a cleaner cup and hopefully strawberries. Enjoying this one. Tastes good in a press and pour over. Trying a cold brew next and hoping it turns out great. We don't have a baseline for "good" coffee but this has been a great batch. We enjoy drinking it black after generally adding milk to our prior coffees. We like that it's not a bitter coffee. A prime example of how Ethiopia is taking natural processing seriously and developing and refining the process. The roast has some inconsistencies not unexpected in a light roast but the coffee certainly doesn't suffer for it. Moderate acidity on the nose moving into great fruit notes on the palette. The mouthfeel is very smooth and juicy with a tea-like finish. While the coffee pulls fantastic as a shot of espresso it also is wonderful as a milk drink. I've found a dose of 18.5g and a yield of 38-41g in 28s produces a smooth, fruit-forward cup. Our group liked this one OK -- but it had the big aluminum-foil-like finish that a lot of Ethiopian coffees have. for future Ethiopian coffees, could you suggest ones that don't have that finish? To me -- and this just might be my personal taste -- the coffee was too smooth. It did not have enough flavor. Great coffee! Smooth and citrusy without being too bright or harsh. It's a good cup of Ethiopian coffee, it just confirms my dislike for Ethiopian coffee. I tasted a lot of lime, red grape juice and other berries. It's bright and light, but too bright for my liking. Just a wonderful, juicy Ethiopian. Friends at work were blown away as was I. I brewed with aeropress and Chemex Kone. The brews were different based on the device, but both styles of brew were still fantastic. I found that this coffee was very unique and distinctive. Brewed at 180 and 200 degrees. flavor at 180 was muddled with more of a cocoa taste but at 200 degrees the floral bouquet tones were much more prominent. A great cup of coffee but not quite 5 stars. Very close to mind blowing delicious. One of my favorites you've sent! This was excellent coffee! I was worried about getting lots of gross coffees, but this was an excellent choice! This was just a touch too acidic for my personal taste - overall it's a good coffee though! Great roast and fantastic beans. Very chocolaty with a tart fruit mouth feel. I prepared in both Chemex and French Press, the Chemex pronounced the tartness more. It's a great coffee but I prefer less chocolate/nutty taste. I would definitely drink again though. I am really enjoying this bag of coffee. I'm a big fan of African coffee as well as of Onyx. 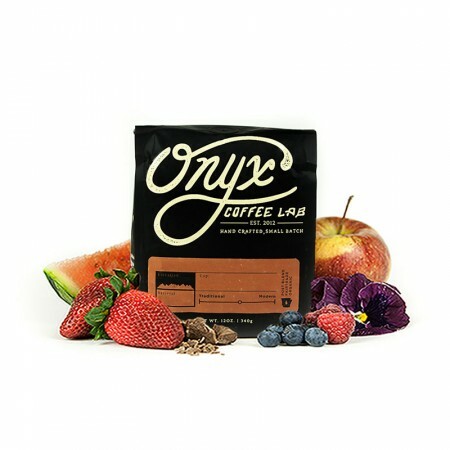 The brightness of the strawberry and citrus flavors stand out to me and are the highlights of this coffee. Good natural. Berries and citrus with a hint of chocolate. Not a mind blower like the Panama Elida natural lot 26 from Portola, but a good one. This coffee is pretty amazing. I was tempted to go 5 star but I thought I couldn't do that in the second bag. Love the fruity note flavors, would love to try a coffee in the future with blueberry notes. I enjoyed the color and acidity of the coffee. I would be curious to try lighter and see what I thought about it. Really terrific coffee. Love the openness and flavor. One of my favorite coffees of the year. Onyx has yet to disappoint. Loved it!! I did find the recommended pour over for this coffee left it a little thin although the floral really punched through when made this way. When I moved over to aeropress though, the fruit notes & chocolatey richness became beautifully apparent. I like the multiple light floral and fruit notes, I feel like I taste a wide variety from start to finish. I think the aroma sets up the tasting very well. If it were just a little richer I think it'd be a 5-star. Pleasantly surprised! A very very solid chocolately, berry flavored full-bodied. The pour over cuts the acidity down so its a little smoother.